Many people are confused of Mor Mikhael Rabo's (Michael the Great) (1166-1199 A.D.) definition of who are the Suryoyo (Syriac) people, due to some contradictions. This article explains that, and puts the words of Mor Mikhael Rabo in context. 1. He defined Assyrians as those who build Nineveh, which is 100% correct. 3. He establishes the Euphrates River as the borderline separating between Assyrians and Arameans, in other words he is talking about the Jacobites who live in Mesopotamia (i.e. East of the Euphrates River) who are Assyrians, and the Melkites (Rom Orthodox) who live west of the Euphrates River as Arameans, which is 100% correct. In other words Mor Mikhael Rabo was talking about the Melkites when he mentioned Arameans, and not our Syriac Orthodox Jacobites who lived in upper Mesopotamia (Beth Nahrain). Here it gets a little complicated, but once you understand the reason behind it, all the puzzles fall in place. a- Historical facts establish that Assyrians are from Upper Mesopotamia and older and different than the Chaldeans. b- On the other hand both Chaldeans and Arameans are from the south, with Arameans from the Syrian Desert, and Chaldeans from around the seashores of the Persian Gulf. Note: Babylonians are different than Chaldeans, since Chaldeans arrived there later and conquered it, and made it their capital for 75 years only (after the fall of Nineveh). Here we have to note that even the Bible agrees with archeologists and states that Assyrians were older than Chaldeans, in fact the Bible agrees with that and says that Assyrians created the Chaldeans. a- He said Babylon and not Chaldea, since the kings of Babylon were much more than kings of Chaldeans (Chaldeans ruled Babylon for 75 years only, and were a handful of kings), since the history of Babylon is much older. 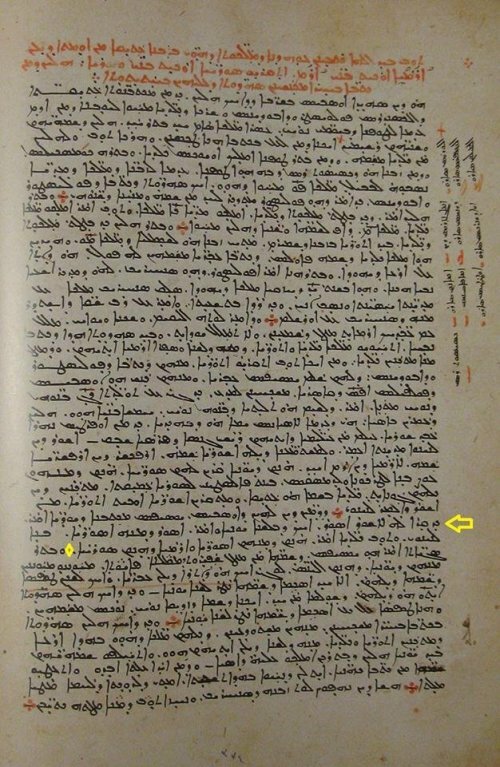 b- He mentions Urhoy which is Urfa, or Edessa and back at his time, in fact slightly before Mor Mikhael Rabo's time, when the Kingdom of Osroene (whose capital was Urhoy) adopted Christianity since the time of its King Abgar Ukomo V, who corresponded with Jesus, many Urhoyan fathers of the church, mistakenly associated “Ur of Chaldea” where Abraham came from with Urhoy (since the two names start with "Ur", and according to early Syriac scholars, Abraham was born in Urhoy/Urfa, and not in southern Mesopotamia in the Sumerian city of "Ur". What further made this acceptable is the spread of the Bible and Jewish legends, that is carried till today (by the Moslems of Urfa), that King Nimrud Built Urfa, and Abraham was born there and he had a conflict with King Nimrud and that is why he left Urfa. Even though that it is mentioned in the Bible that King Nimrud built Erekh (i.e. Uruk) and not Ur. As you see the confusion stems from associating Ur with Erek and Urhoy bringing Abraham from Ur, and King Nimrod from Etekh/Uruk, and making them reside in Urfa during the same time, where even the Bible lists at least 300 years between the lifetime of Nimrod and that of Abraham, in other words by the time Abraham was born, King Nimrud was already dead for more than 300 years, and the two men never met! c- It is because the Bible states that Abraham was from “Ur of Chaldea”, (notice the word Chaldea), and because the early Syriac fathers of the church thought that “Urhoy” and “Ur of Chaldea” were the same, then they thought of themselves as Chaldeans, and their region as Chaldea (i.e. they moved Chaldea from the south to the north). And since Urhoy was the center of the Syriac speaking world back then, and a great city, Mor Mikhael Rabo associated all that together and created this confusion unknowingly, since the Sumerian city of “Ur” where Abraham came from, was under the sand (in southern Mesopotamia) still undiscovered at his time, that even the Jews of the time didn’t know its location. d- This confusion is explained by Segal in his book “Edessa the Blessed City”, see his first chapter pages 1-3, titled I, Beginning. And the first Syriac church father that associated Ur with Urhoy was the Jacobite Metropolitan Basil Bar Shumana, who was a friend of Zangi, (i.e. he was contemporary to Mikhael Rabo who was also the friend of Zangi. Additionally in Syriac references they associate Nimrod with the Assyrian King Ninos who built Nineveh too, so to them Ninos built Urhoy too. Earlier Mor Ephrem and others associated Erekh with Urhoy, all this confusion occurred because neither Ur nor Erekh were discovered yet, (both were still under the sands of the desert in southern Mesopotmaia), so they assumed that Urhoy, Ur, and Erekh are all the same, and that brought Braham from Ur, Nimrod from Erekh, to Urhoy/Urfa, especially that Urhoy was also known as Urhi, Urh, and Urkh! It is like someone living during the dark ages in Europe, and stating that the World is flat, simpley because he got his information from the believe of the Catholic Church at that time. At the time of Mor Mikhael Rabo, all Biblical scholars thought that Abraham came from Urhoy/Urfa, simply because Ur was still undiscovered. Only after the 19th century when Ur was discovered, the Biblical scholars changed their views and associated Abraham with Ur and not Urfa. Once you put all this together, you will realize that Mor Mikhael Rabo wasn’t talking about ancient Chaldeans, but rather about the people of Urhoy whom he mistakenly thought to be Chaldeans. And we can’t blame him for that because Ur, Erekh, Babylon, and Nineveh were all under layers of sand still waiting to be discovered, so the only source for his writings were Greek books and as a Christian the Bible too. 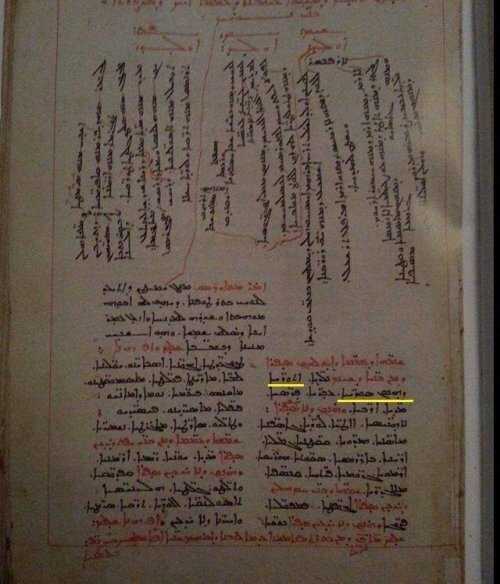 Once you understand explanations in #4 & #5, then you would understand Mor Mikhael Rabo's explanation of our identity better, realizing that he is not talking about ancient Chaldeans, but rather the People of Urhoy who at his time were the flourishing center of education and civilization. In fact, I believe that this same Chaldean name issue that we have now, is related to the confusion that took place 1000 years ago, can be explained the same way. (i.e. Modern Chaldeans are not related to ancient Chaldeans, but rather are Assyrians from Upper Mesopotamia, who might have used the name Chaldean in the same context as Mor Mikhael Rabo did. Note: Mor Mikhael Rabo defines Suryoye (Syriacs) as Assyrians and Arameans, Volume 3 Page 748 Syriac text of Chabot: "He (i.e. Josephus the Hebrew columnist) calls Ashur "Asur". Like in the Greek language "Asur" from whom the Assyrians (Asuroye) are the descendants, who build Nineveh. And he also called Chaldeans those that descend the Assyrians and Arameans which are the Suryoye (Syriacs)." 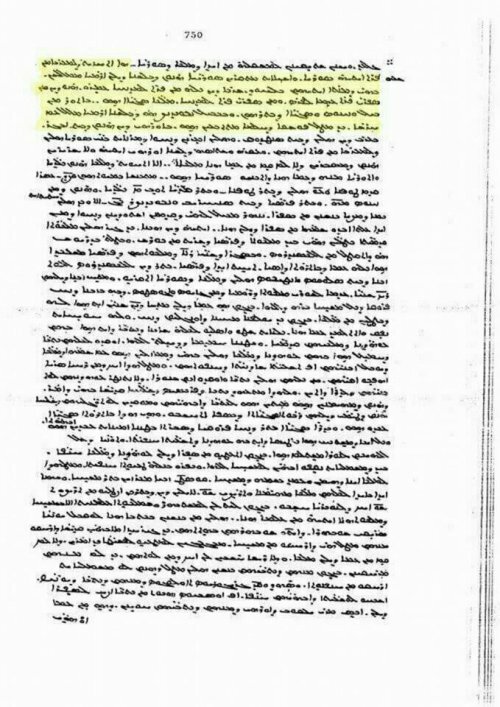 Note: Mor Mikhael Rabo stating that Suryoye (Syriacs) are Assyrians, Volume 1 Page 17 Syriac text of Chabot: "Assyrians which are the Suryoye (Syriacs)"
Note: Mor Mikhael Rabo establishes the Euphrates River as the borderline separating between Assyrians and Arameans, Volume 3 Page 750 Syriac text of Chabot: "So, one can see that Syria was to the west of the Euphrates, and that the name "Syrians" is applied by way of metaphor to those who speak our language, the Arameans, of which the Syrians are only one part; the others all live east of the Euphrates, that is from the banks of the Euphrates all the way to Persia. And from the banks of the Euphrate towards the East, there have been numerous kings. In Assyria: Bel and Ninus and their many successors; in Babylon: Nebuchadnezzar, who maintained in the Aramaic language with the magicians who had been summoned for the explanation of the dream; in Edessa: family of king Abgar [...]..."
Note: Mor Mikhael Rabo stating that Assyrians were called Suryoye (Syriacs), Volume 3 Page 750 Syriac text of Chabot: "It was shown instead that the Chaldean and Assyrian kings who were called Syrians belonged to this people"